Taunton Deane Borough Council: Pure Town Planning have recently secured planning permission for the substantial extension and alteration of an existing retail premises in the village of Monkton Heathfield, a medium sized village near Taunton in Somerset. 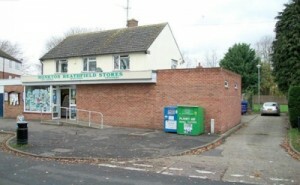 The existing village shop was a family owned business that had been successfully trading in the village for many years. When it was put up for sale following the retirement of the existing owners, it was quickly acquired by a leading supermarket retailer with an aspiration to create a high quality local store within the village. Working in collaboration with Union Architecture, we prepared, submitted and managed a planning application for the extension and alteration of the premises. The application sought planning permission for the erection of a large side and rear extension which effectively doubled the trading area of the store and provided adequate space for back of house operations, such as a stock room and staff office. As part of the application, we prepared a comprehensive supporting design, access and planning statement which set out the merits of the proposal in a clear and concise manner, whilst making it clear that the development was in accordance within adopted planning policies that support the job creation through the reuse of existing commercial premises. Upon considering the application, the Council agreed with our conclusions and moved to grant planning permission for the development. The client was delighted with the decision and is now preparing for the redevelopment of the site. If you have a commercial premises and would like to pursue a change of use application, or any other commercially-related planning application for that matter such as; increasing opening hours, new shopfronts, new signage, canopies etc. then please do not hesitate to give Pure Town Planning a call.